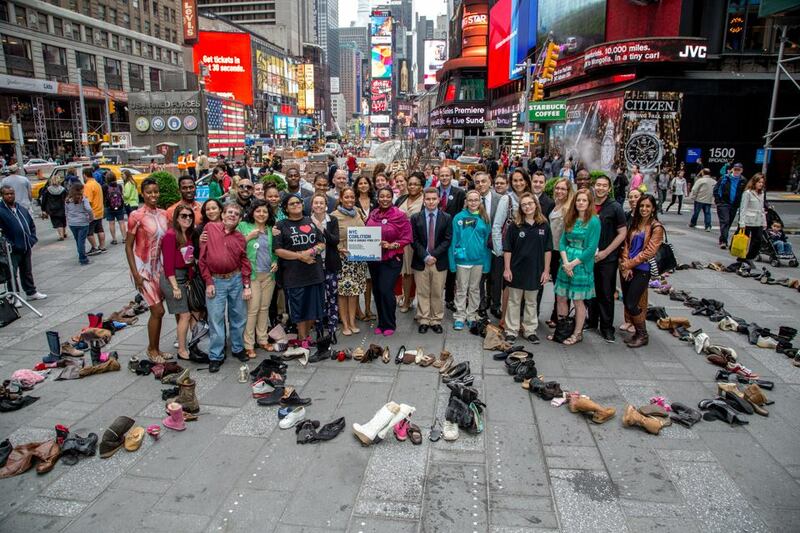 Teens and health advocates denounced the tobacco industry for recruiting youth smokers and called for higher NYC tobacco prices at a press conference on Wednesday, May 28, 2014 in Times Square. Currently, 20,000 NYC public high school students smoke. One-third of them, approximately 6,600, will die prematurely from smoking. To represent the terrible cost tobacco imposes on New Yorkers’ lives, the Coalition unveiled an art installation: “6,600” spelled out with children’s shoes. In December 2011, a group of our community partners joined us for a screening of the Charles Evans Jr.’s film, Addiction Incorporated. The film is now available on DVD for schools, universities, libraries and other educational institutions. The film explains how former how former Philip Morris scientist Victor DeNoble’s unexpected discovery of an addiction ingredient in tobacco led to cigarettes that are even more addictive and how his Congressional testimony forever changed how tobacco is sold and marketed. Anyone interested in public health and tobacco control will find this film engaging. 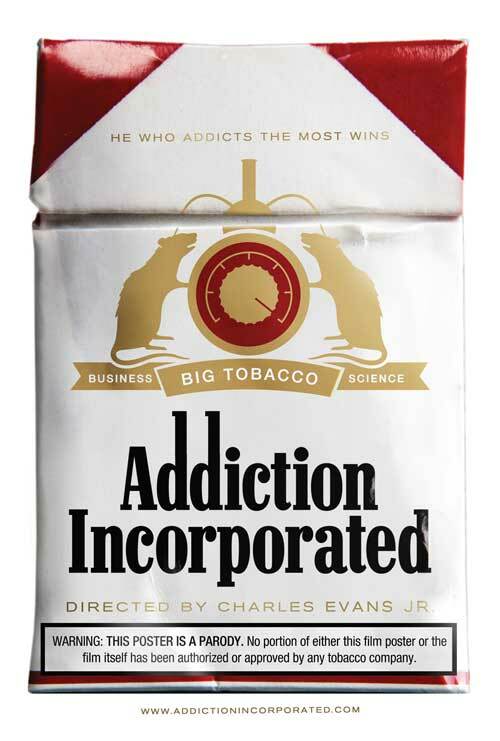 Hard-hitting, suspenseful and eye-opening, Addiction Incorporated shows how Big Tobacco used its resources to intimidate scientists, the media, and public and elected officials to protect its profits. Today, Big Tobacco spends $8.8 billion a year on tobacco marketing, much of it targeting youth. The current “Be Marlboro” campaign is just one example of the kind of aggressive and manipulative marketing the tobacco industry uses to encourage youth to smoke. Big Tobacco will stop at nothing to recruit youth as “replacement smokers” to ensure the economic future of their industry. Addiction Incorporated reminds us that truth and sound science will always triumph over commerce and conspiracy. We recently talked with Slim Laden of SMART, a Swedish non-profit organization that works to prevent youth smoking and drug use. Slim was visiting New York on his way to Washington, DC to present at a conference on tobacco-free active living and healthy eating in low socioeconomic status communities. He learned of the Coalition on Twitter (through our Flat Phil Project). The main goal of SMART’s work is to prevent or delay smoking initiation among youth. Compared to those teens who never smoked, 12- to 17-year olds who smoke are more than five times likelier to drink and 13 times likelier to use marijuana. SMART believes that preventing kids from smoking and encouraging them to make healthy choices also helps to reduce alcohol and drug abuse. After the success of our “Supportive Housing Goes Smoke-Free” training program last year, twelve other members of the Supportive Housing Network of NY (The Network) have enrolled in this year’s program. 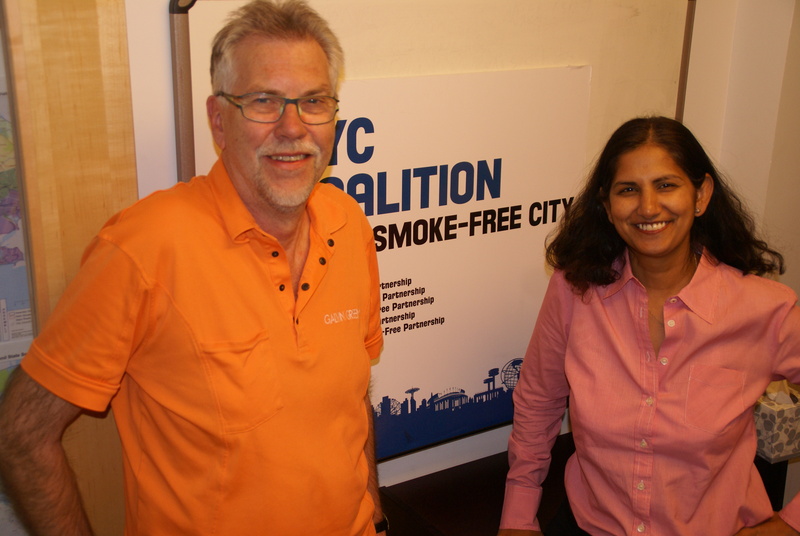 We met with Carl Johnson, Program Director at Community Access, Inc. Community Access plans to adopt a voluntary smoke-free policy in one of their supportive housing residences (DeKalb Avenue Apartments). 1. Thank you, Carl, for joining us to learn how supportive housing providers can go smoke-free in their buildings. DeKalb Avenue Apartments is just one of the buildings that is owned and operated by Community Access. How many buildings does Community Access have? Community Access was founded in 1974 in the Lower East Side of Manhattan and has expanded into other parts of New York City ever since. Community Access either owns, operates or provides social services in 20 buildings and more than 100 scatter-site apartments throughout Manhattan, Brooklyn and the Bronx. Russia is the world’s second largest tobacco market after China and has one of the highest smoking rates. More than sixty percent of Russian men and 22 percent of Russian women smoke. The price of tobacco products in Russia is among the lowest in the world (a pack of cigarettes costs only $1.70), keeping cigarettes cheap and plentiful for young smokers. One-fourth of Russia’s teenagers (age 13-15) currently smoke, and thirty percent of Russian teenagers had tried their first cigarette by age 12 (2007 data). 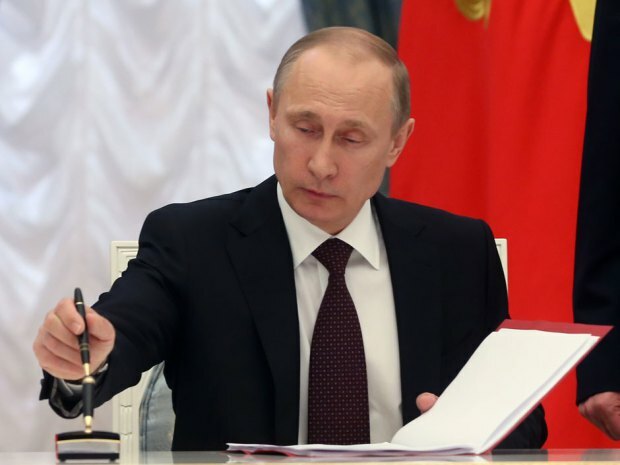 In February 2013, President Putin signed a comprehensive tobacco control law that will protect people from secondhand smoke by not allowing smoking in most public places, restrict tobacco advertising, and prohibiting tobacco product displays. We met recently with health officials from Yekaterinburg, the fourth-largest city in Russia to learn more about Russia’s new policies and to share our best practices. Dr. Svetlana Vladimirovna Glukhovskaya, Dr. Gennady Yevgenyevich Ivanov and Dr. Vladimir Bogdanovich Pidzamkiv have been active in anti-tobacco efforts for the past two years. 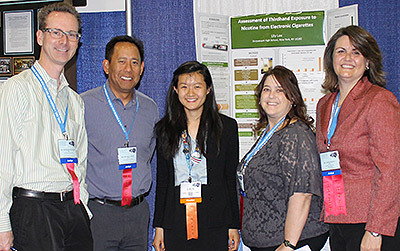 They were invited to the U.S. under the auspices of the Department of State’s International Visitor Leadership Program to learn about tobacco control programs that focus on preventive medicine and public health methodology. They were particularly interested to learn how we had gained public support for smoke-free policies in New York City and why we’ve been so successful in reducing smoking rates.